After doing my research about this card I was definitely interested but didn't have the best credit score so that made me nervous about applying. I had been trying to rebuild it over the past few months and at the time of applying I had my utilization down to 0% for 3 consecutive months, 2 late payments from 5 years ago, about 8 years of credit history and no other credit cards opened in the past few years. Credit score was a 669-671 and I was instantly approved for 14K. Can't wait to start using it and taking advantage of the perks that come with it. Hope this helps other people who may not have a high 700 score feel confident in applying and it really is the epitome of "you never know". Went to chase branch and I was told that I was pre approved for both CSP and CSR. Transunion 747, Equifax 727 and 722 on my FICO 8. I was instantly approved for 10k !! Only 14 months of credit history ( capital one $800 and Amex magnet 10k). So happy to finally got this card, now ready to travel. Large annual fee but potential to earn back twice that if you use the perks. My credit score was 750 when I got approved which granted me a credit limit of $12,000. Keep in mind you have to have a solid credit foundation, at least 3-4 credit cards and of course a chase credit card before applying. Not really. I had only one credit credit (open for 13 months). Also, the credit card was a non chase card. I was approved three days ago with a credit limit of $17,500. It really depends on what’s in your credit history. Forgot to add. My credit score at the time I applied was 785 TU, 798 Exp and 800 EQ. No prior relationship with chase. I got approved beginning of February. TU 672 EQ 672. Got approved for 16,700 limit. No prior chase card. 3 credit cards(discover, capital one, citi) and student loans. Was convinced to apply due to the plethora of benefits, way too many to list. 675 TransUnion and 672 Equifax at the time of application. Good Standing with an Auto Loan. Immediately approved for a $16,300 Limit. If you plan on even taking 1 trip this year, then the card is already worth it. Congrats!! were those your ck scores? and did you have a prior relationship with chase? Did they run a hard credit check when you applied for the card? 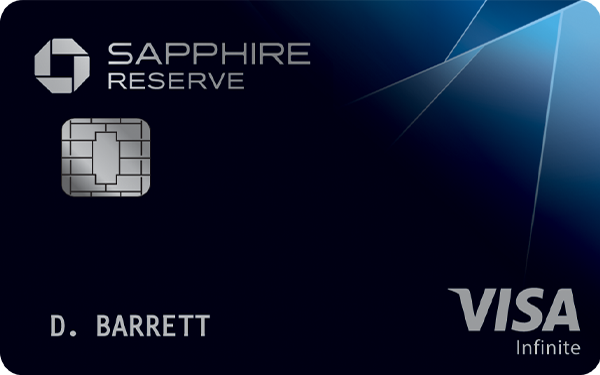 Is this your first credit card with Chase? This card is a must have if you travel regularly. The travel credits and benefits well outweighs the annual fee. You’ll love it! If you’re reading this, chances are that you’ve done some research and seen some YouTube videos about it already. If you can’t easily get your $300 travel credit, the points and miles hobby isn’t for you. I wouldn’t even recommend the CSP. This has benefited my family and I in so many ways. 4 booked flights for free. 2 hotel stays and lounge access. All with no annual fee. If you’re in the military the annual fees and authorized user fees are voided. After I get out, I’ll still keep this card considering it’s not blown out of the water by then. It’s worth it with the fee, so you know it is without it. You don’t do anything. If you’re approved after September 2017, the MLA(Military Lending Act) doesn’t allow any interest rates above 34% I believe. These annual fees are considered to be interest rates somehow initially and thus the fees are waived. Like I said, I was willing to pay for them. Excellent card. This could be your one and only premium.